If you’re looking for a company that specialises in the design and production of executive office furniture, then you should look no further than Eborcraft. 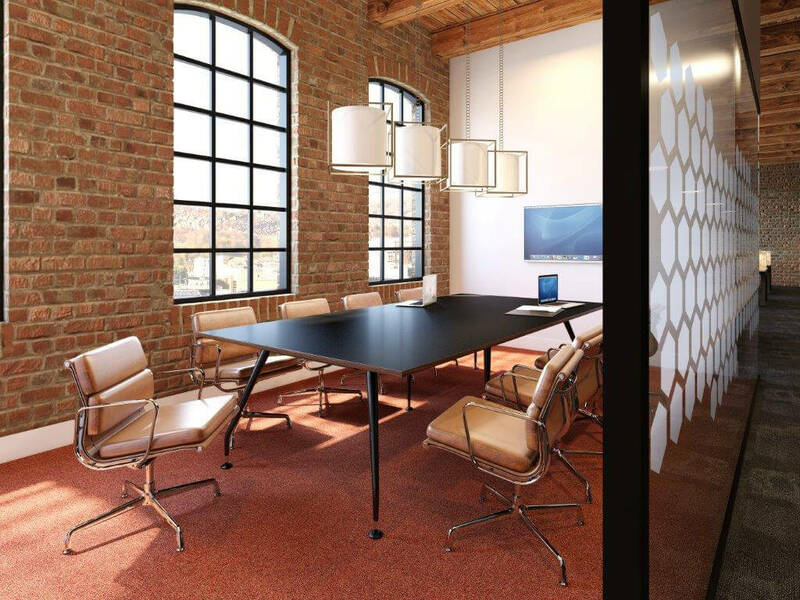 This company specialises in the construction of high quality office furniture from the very best veneer, whether that be for boardroom furniture, reception areas or executive furniture. Originally established in 1895, this company has come on in leaps and bounds over the last 100 years and now uses the very best CNC technology and construction machinery to create their unique products. Once your office furniture has been manufactured, Eborcraft’s skilled staff will hand finish each product to give it a truly traditional feel. Eborcraft uses state of the art technology to construct each piece of office furniture. Their finishing and assembly processes allow the workers to be completely flexible along the production stages. More and more companies are turning to businesses in the UK to produce their office requirements, as this cuts down on costs for them and helps to support local businesses. 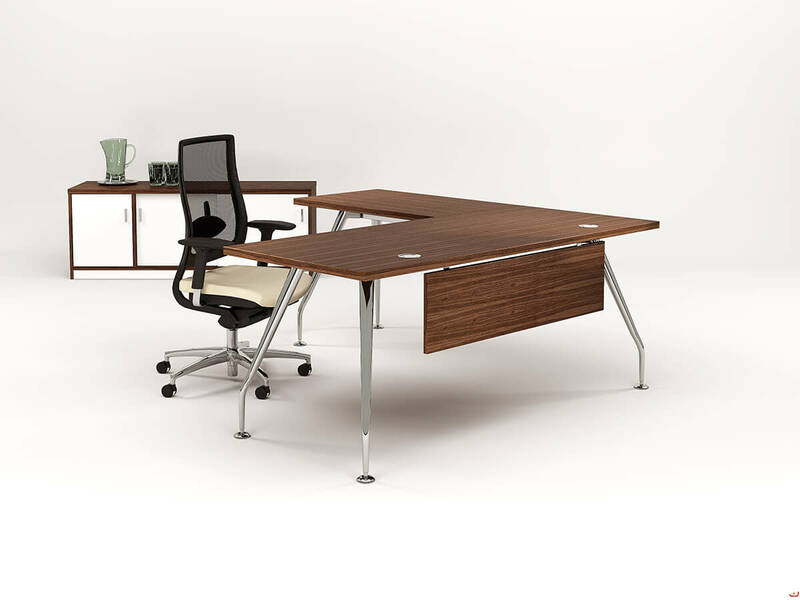 Eborcraft’s top-selling range, Minster is the superior collection of office desks, storage and tables. All products in this range are produced using exotic veneers and a unique cross-banding technique. This range is perfect if you’re trying to make a strong statement with an executive desk, managerial position, meeting table or reception desk. If you can’t decide between a traditional or contemporary look, then Oracle is the choice for you. This range brings the best of both worlds together into one affordable and aesthetically pleasing package. This range specialises in boardroom tables constructed entirely from the finest wood veneer and you can design the finishing touches to your table, from a selection of base designs, edge details and even shaped tops. 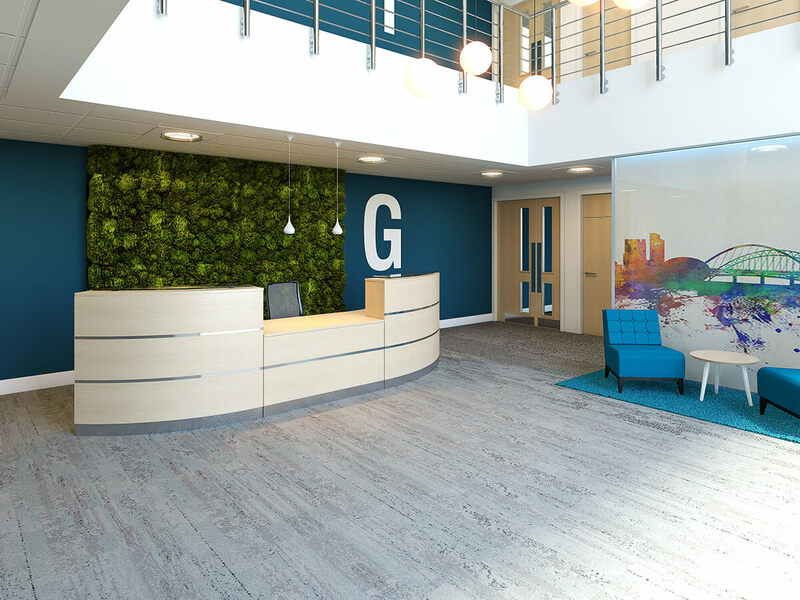 You never get a second chance at a first impression, which is why you should choose from the Fusion contemporary collection for a beautiful modular reception desk range. Go modern or traditional, depending on your tastes and the style of your business, and opt for curved or square desks. There are a variety of accessorising options available including glass shelving and privacy screens. 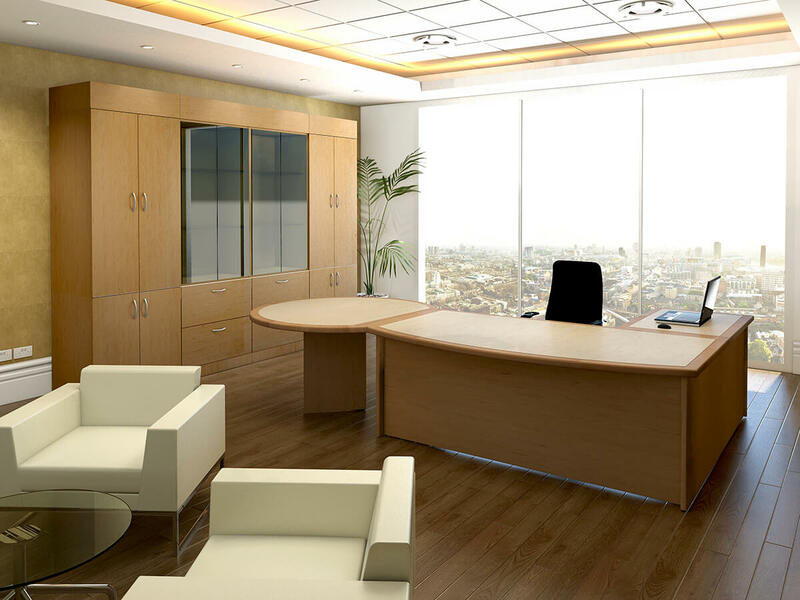 This particular range of furniture specialises in meeting room furniture constructed from the finest wood. 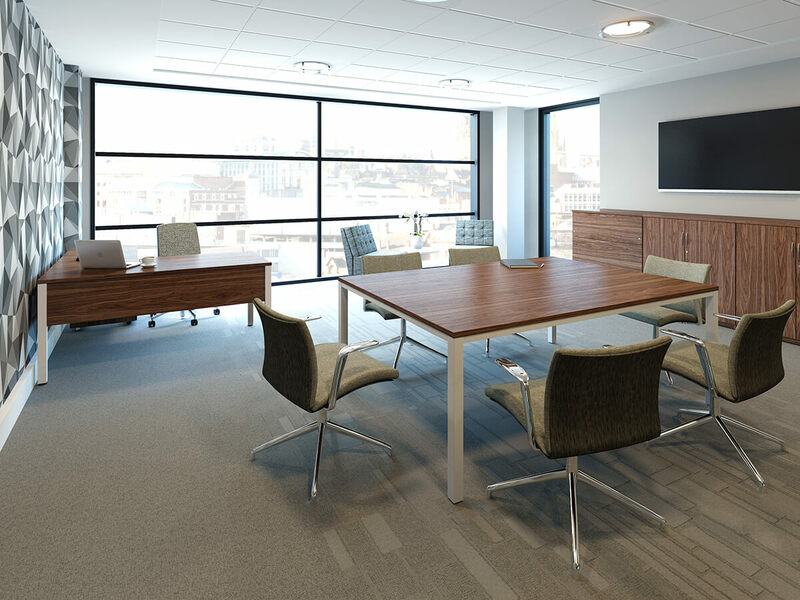 This range also includes workstations, storage wall systems and unique conference tables that are both aesthetically pleasing as well as open and professional. The Zenith range shows off the pinnacle of this company’s expertise in excellent furniture design. The most popular features of this product include the new “floating” table tops and a quarter cut design using the best veneers. It also incorporates some very innovative storage solutions to maximise every available space. 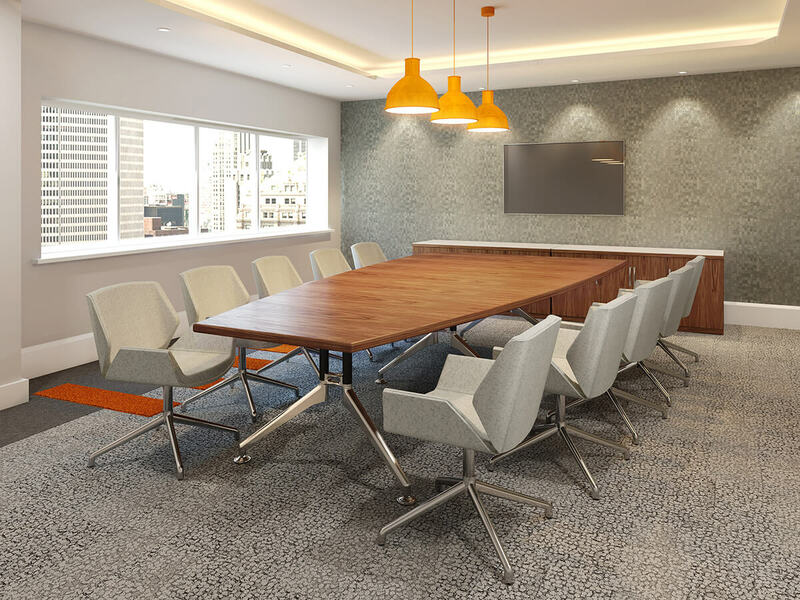 Zenith Chrome is an extension to the Zenith range which incorporates contemporary boardroom and meeting tables with stylish polished chrome legs. 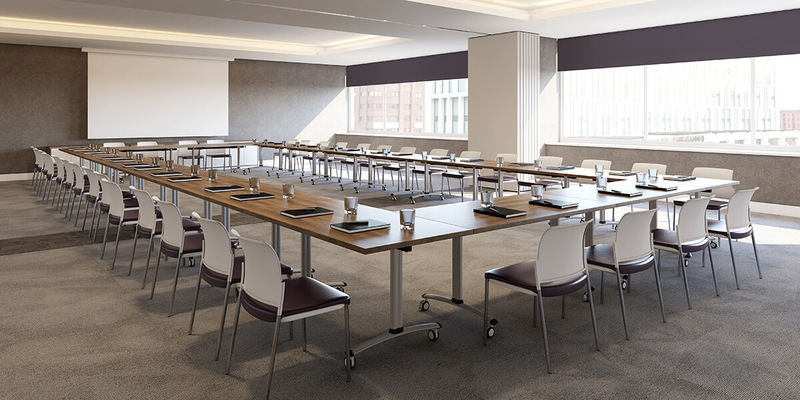 Gemini is an innovative, flexible and space-saving new range of modular conference furniture. Gemini modules are easy to link together and just as easy to tilt upright for wheeling into storage. Crescent addresses the demand for compact reception furniture. 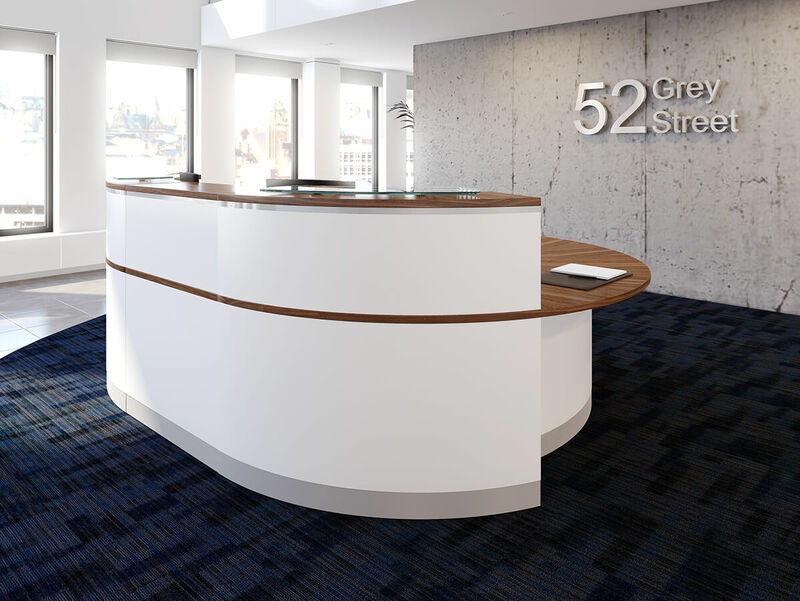 Eborcraft has launched Crescent reception desks with an asymmetric shape. Crescent desks are able to neatly fit into corners and tight spaces with a small footprint. In order to ensure that clients are as satisfied as possible, Eborcraft gives potential customers the opportunity to order individual brochures based on each one of their collections such as Abbey, Odyssey and Gemini. Here at Rapid Office, we have an excellent relationship with Eborcraft. Contact us now for professional service, expert knowledge of the office furniture industry, and the latest products from this manufacturer.